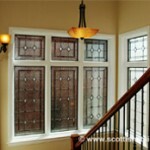 Houston Stained Glass transom windows by stairs. 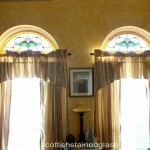 Houston Stained Glass transom triangle arch windows. 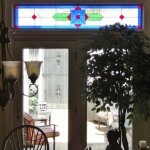 Houston Stained Glass transom window with colored pattern. 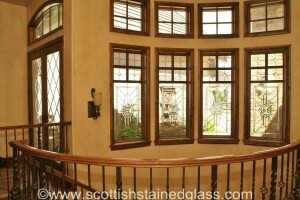 Houston Stained Glass beveled transom windows. 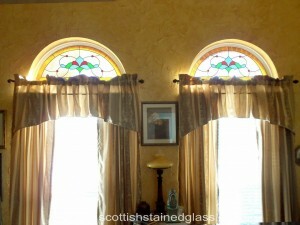 Houston Stained Glass transom arches with colored patterns. 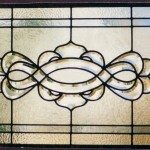 Houston Stained Glass transom stained glass window. 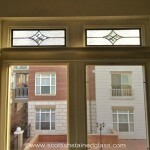 Houston square transom stained glass window. 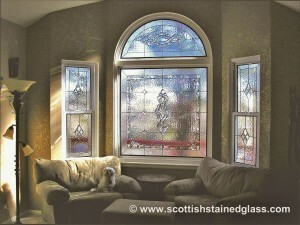 Houston beveled stained glass transom window. 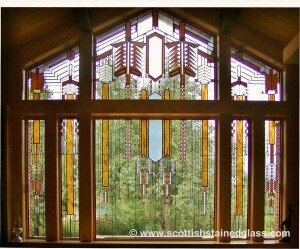 Houston Stained Glass FLW picture windows with transoms. 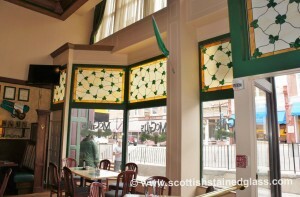 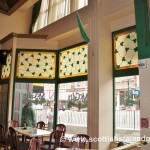 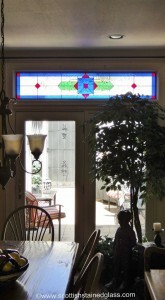 Houston Stained Glass commercial restaurant with transom windows. 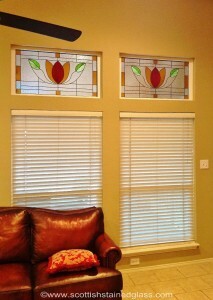 Houston Stained Glass Art Nouveau transom windows. 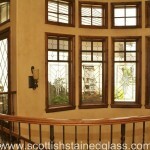 Transoms are windows that sit above the height of a normal window, often above a typical window or a door. 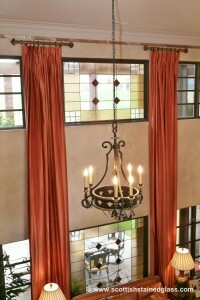 These are very common in homes with high ceilings because they let a great deal of natural light into any room, and the higher walls offer a great location for more windows. 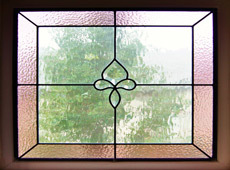 However, some homeowners find the natural light to be too intense coming from these windows, and privacy can even be an issue. 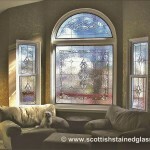 Still, many people are simply looking for a beautiful way to add style to these high windows as well. 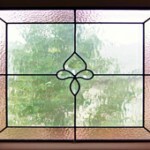 Our process for creating your own custom transom stained glass begins with an in-home consultation with a designer. Your designer will take measurements of your window, and will have tons of great photos and glass samples to help you find something that you love for your home. 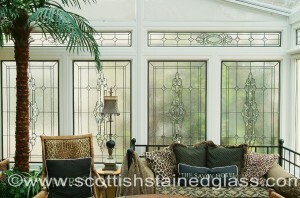 Remember that every window we create is custom, allowing us to tweak a previous design until it fits your needs perfectly! 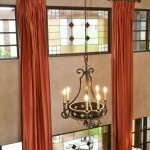 When it comes to style, your options are nearly limitless. 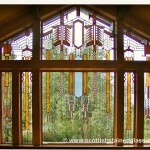 Whether you prefer contemporary styles like Frank Lloyd Wright, Mission, and Art Deco, or if you’re looking for something more traditional like Art Nouveau, Mackintosh, or floral stained glass, we can help! 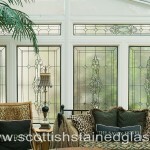 Your designer will even sketch out several options to help you find the right choice. 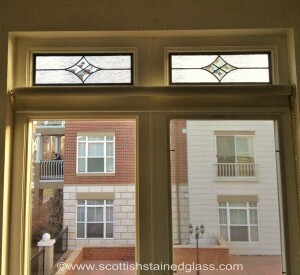 Transom windows can often become problematic for too much light, as well as too much vision from surrounding buildings. 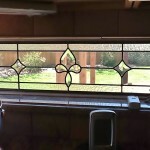 If this is the case for your home, we can help you select glass types that will help to soften the light coming through, as well as block the vision into your home. 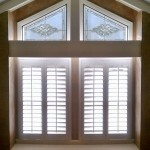 You’ll be able to find the right balance without having to worry about blinds or curtains on these hard-to-reach areas. Transom stained glass windows are actually one of our most popular applications at Houston Stained Glass, and with good reason! 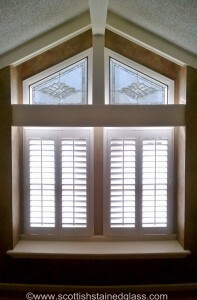 If you’ve got a window up high, our team can help you find the perfect solution for your needs today! 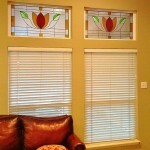 Houston Stained Glass has been working with homeowners for more than 20 years, and you can trust our experienced company to provide authentic, high-quality stained glass windows. 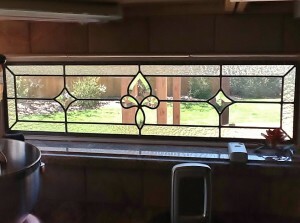 Contact our experts today if you have any questions, or to schedule your consultation and get started on creating your own custom glasswork today!